WASHINGTON — As the National Science Foundation (NSF) recovers from a five-week partial government shutdown, the agency is already starting preparations for another potential shutdown. In a conference call with reporters Feb. 1, officials with the NSF, which funds a number of astronomical facilities, said they had been working in the days since the partial government shutdown ended late Jan. 25 to get the agency up and running again, including getting back pay to its more than 1,400 employees. The NSF’s Division of Astronomical Sciences, with an annual budget of about $300 million, funds the operations of a number of astronomical observatories, which are usually run by other organizations rather than directly by the NSF. Those observatories, as well as other NSF research facilities, were able to continue operations during the shutdown because the NSF funded them in advance, although some were in danger of curtailing operations or shutting down entirely had the shutdown extended into February. 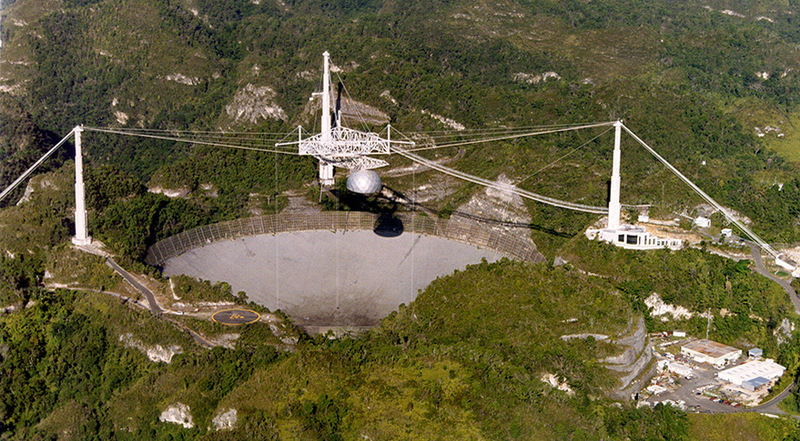 One case was the National Radio Astronomy Observatory (NRAO), which operates several radio telescopes. NRAO officials said at an American Astronomical Society (AAS) conference in early January that they could continue operations of their facilities likely until the middle of February, after which, had funding not been restored, they would have been forced to start closing observatories. A few facilities were running short on funds when the shutdown ended, he said. “We’ve been working this week to get funds to those that are in the most critical circumstances,” he said, not identifying any specific facilities. Other facilities will get additional funding in the next week or so. The continuing resolution that ended the shutdown, though, only runs until Feb. 15. House and Senate appropriators have been meeting in the last week on a solution to fund affected agencies for the rest of the fiscal year, while also reaching an agreement on border security funding. There was little public sign of progress in those negotiations, however, raising the risk of another shutdown after Feb. 15. Ulvestad said that included more advanced funding for observatories and other research facilities. “We’ll be working to obligate sufficient funds out to our facilities so they can continue to operate even in the unfortunate event of another lapse,” he said. The shutdown disrupted other NSF activities, including reviews of proposals. More than 100 reviews panels scheduled during the shutdown were postponed, said Erwin Gianchandani, deputy assistant director of computer and information science and engineering. The agency was working to reschedule those, with some already taking place earlier in the week. The shutdown also affected a town hall meeting for the NSF’s astronomy division that was scheduled to take place during the AAS meeting. While a partial town hall meeting did take place at the conference — the current head of the division, Richard Green, is a “rotator” on loan from the University of Arizona and thus could work, but not travel, during the shutdown — a virtual town hall meeting is scheduled for Feb. 15. The shutdown also postponed a meeting of the Astronomy and Astrophysics Advisory Committee, a federal advisory committee that reviews astronomical research at the NSF, NASA and Department of Energy. That meeting, which was scheduled for Jan. 29–30 at NSF headquarters, was postponed because of work restoring operations immediately after the shutdown. It has been tentatively rescheduled for Feb 25–26, assuming there is not another shutdown ongoing then.